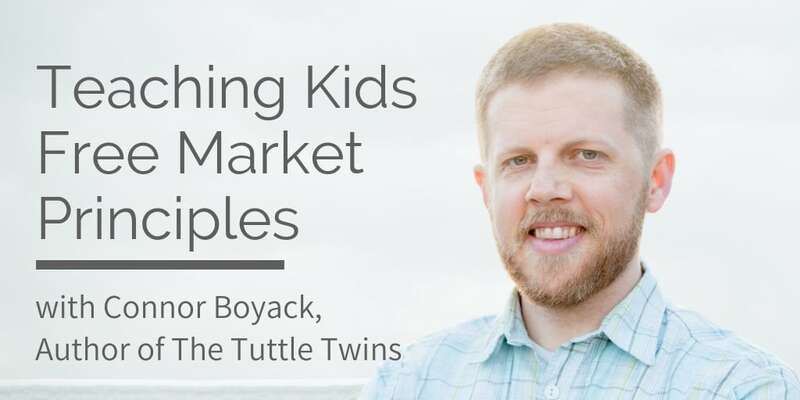 Connor Boyack is the author The Tuttle Twins, a series of a premier free market educational books for kids. Once a web developer and online marketer, his passion transformed him into an economic, history and political philosopher and educator. Because he was perplexed by current events, he began studying history’s patterns, looking for answers to prevent us from repeating the mistakes of the past. Through his study, he discovered the time-tested principles of free market economics, liberty, and entrepreneurship. Connor then immersed himself in political activism, starting a think tank to change state laws. While helping Tesla battle against the traditional car companies and protectionist laws that prohibited them from selling any cars in Utah, he began grappling with a new question. How could he help his young children understand his work of protecting the free market? Finding no other resources, he set out to create one for kids to understand these big philosophical ideas. The Tuttle Twins books were born. Now a series of nine stories that condense the ideas of liberty-minded authors such as Leonard Read, Henry Hazlitt, G. Edward Griffin, Ayn Rand, and Frederick Bastiat, the Tuttle Twins communicate big ideas in a way that everybody can understand. Because these books are creating a movement of thinkers, we wanted to share the author’s take. 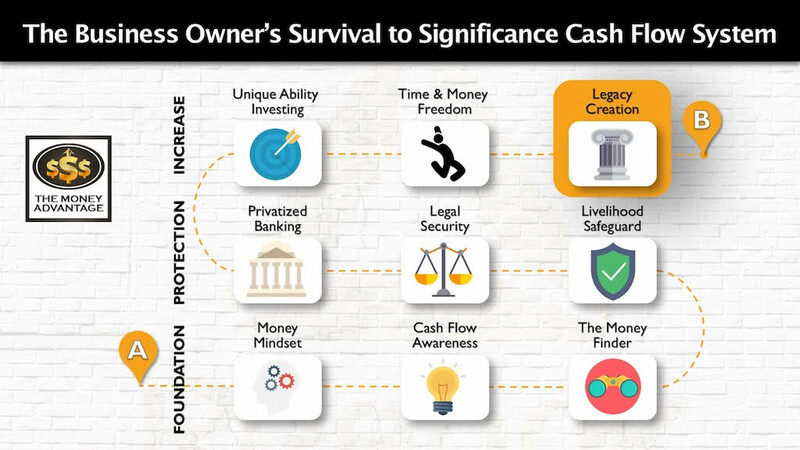 As a community of wealth creators, one of our most compelling desires is not only to thrive personally, but to leave a legacy for our children of the wisdom, principles, and character that make it possible. 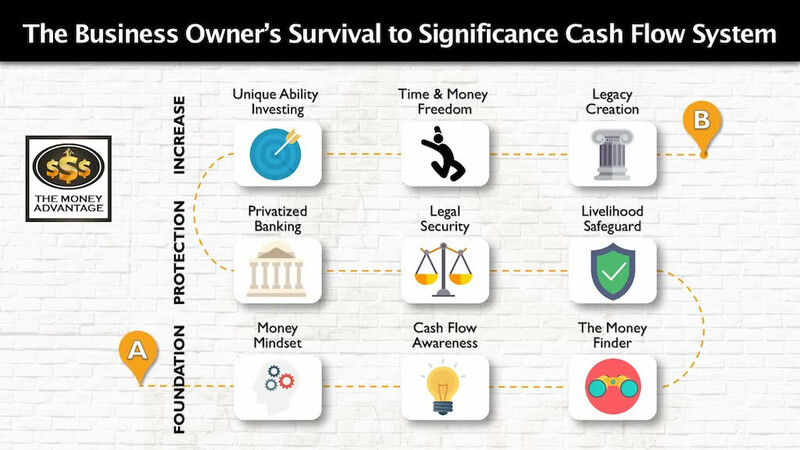 In the Cash Flow System, you first increase cash flow by keeping more of the money you make, then you protect your money, and finally, you increase and make more. This conversation will take us full circle and land in two places. 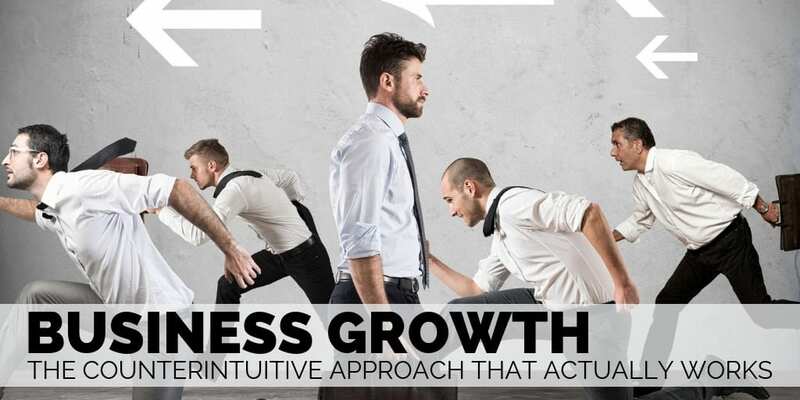 Firstly, it’s part of helping you create and solidify your own mindset, philosophy, and principles of wealth creation in the very first step of the first phase. Secondly, it’s also part of creating a legacy and passing on the wisdom that will help our kids flourish as entrepreneurs and value creators in the very last step of the last phase. Connor Boyack is president of Libertas Institute; a free market think tank in Utah. In that capacity, he has spearheaded many successful policy reforms in areas such as education reform, civil liberties, government transparency, business deregulation, personal freedom, and more. Connor is also president of The Association for Teaching Kids Economics, a nationally focused nonprofit training teachers on basic economic principles, so they are empowered and motivated to help their students learn more about the free market. 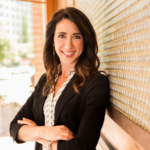 As a public speaker and author of over a dozen books, Connor is best known for The Tuttle Twins books, a children’s series introducing young readers to economic, political, and civic principles. He co-hosts a podcast along with Bryan Hyde that discusses entrepreneurship, innovation, philosophy, current events, politics, and more. 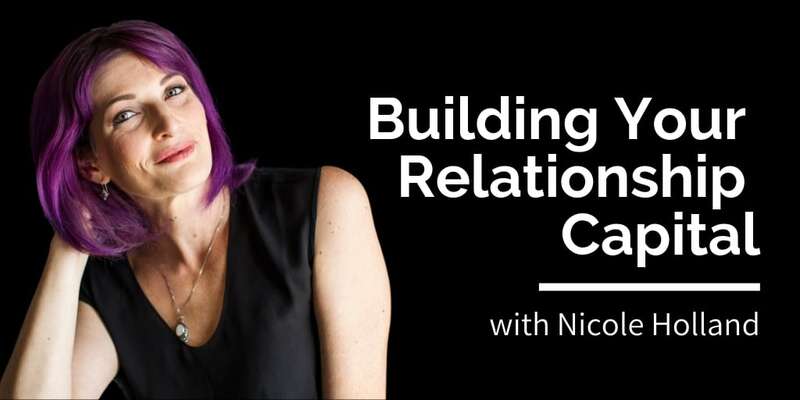 They feature interesting guests who have compelling messages worth learning about, helping expose the public to insights and efforts that deserve greater awareness and support. Connor Boyack: [11:46] One of my favorites is The Tuttle Twins and the Food Truck Fiasco. This was our fourth book. It’s based on the ideas from Economics in One Lesson, by Henry Hazlitt. It’s an important issue on its own. It talks a lot about protectionism, how, often the incumbent players in a market or industry will work with their buddies in government to create laws that prevent their upstart competitors from being able to have a free and fair playing field. And of course, this then favors the incumbent who can continue to amass more market share and consolidate power. We see it with Uber and Lyft, Airbnb. We see it with food trucks, battling against restaurants and their buddies in the city council. What I like most about it is that we published the book a couple of years ago now. Then literally, two months later, there was an issue with food trucks here in my state in Utah. Almost exactly, the problems in this book started playing out in real life. Food trucks were getting shut down. And we had mayors who favored protecting brick and mortar restaurant owners from this competition. And so here in Utah, we ended up waging a campaign to change the laws, just like in my book, Ethan and Emily, the twins start a campaign to rally public support. They have a rally, they pressure City Hall. We almost used it as an instruction model, this foreshadowing book that I had written, and we just did the same thing. We had a big rally, with over 2,000 people showing up. There were all sorts of news crews, a dozen food trucks. Then we pressured the legislature to change the law. Because of our work, the city passed the nation’s first food truck freedom law that knocks down all these protectionist regulations. I have a soft spot in my heart for that book, because of the way it played out in the real world. It shows that just like we wrote this story about Ethan and Emily making a difference and getting these laws changed to protect the free market, we actually went did that very thing. Connor Boyack: [20:34] This is actually one of our more popular books. This one is based on an essay called I, Pencil, by Leonard E. Read, who started the Foundation for Economic Education, an excellent resource for those interested in free markets. This essay is essentially the autobiography of the pencil. Read talks about how everyone thinks a pencil is very simple, but in reality, nobody knows how to make it. Because if you think about its component parts, the wood, the graphite, the metal, the rubber, etc., all of these parts would be extremely difficult for any one person to make on their own. I do school assemblies for the fourth and fifth grade based on our children’s version of the book. I ask, who thinks they can make a pencil entirely on their own? All these confident hands come up. Then I say, let’s take just the wood. If you had to get the wood, how would you do that? You’ll need a saw and an ax, right? Then you cut down the tree, but how do you transport it to the mill? How do you cut it down to just the right length? How do you get sandpaper? Can you make sandpaper all on your own or are you going to go buy it? You eventually start seeing that the people who make the roads, the farmers who grow the food that we eat for lunch to keep us going at work, so we can make our pencil. There are literally hundreds of thousands of people in this ecosystem that are all serving us throughout the chain of supply and service that help a pencil come together at the end. This seemingly simple product is actually the collaborative effort of people across the world who speak different languages, have different religions, maybe their governments are hostile with one another, or they have completely different social preferences. Through the economy, we come together. It produces social harmony, a win-win environment where we’re paying and exchanging with one another. In our version, The Tuttle Twins and the Miraculous Pencil, the kids go on a field trip to learn how a pencil is made. Then, they follow the story and really realize that, all across the world, we’re all working together on a pencil, let alone more complex object, it’s like a car or a computer. In our family, for example, just like with the pencil, we discuss everyone who was involved in making dinner. Mom just cooked dinner, but was it all mom? Who else helped? The farmer, the grocery store guy, the truck driver, the folks who built the roads, and so forth. For me, as a parent, I love it, because it instills my children with a sense of awe and wonder at the world rather than a sense of entitlement. I like it as a human. I think it’s good for our society to be appreciative of the reality of the world in which we live, and recognize that by serving and helping one another, we all prosper. Connor Boyack: [24:31] This book was based on Atlas Shrugged. We distilled the core ideas of Ayn Rand’s book: the importance of personal responsibility, keeping the fruit of your own labor, not envying, and the virtue of work. We then incorporated these ideas in our story to communicate those principles to children. There’s a lot of envy in our world. There are undertones of socialist entitlement. That seems a fundamental conflict. While a separate conversation is needed for a social safety net for those who legitimately can’t work and are in need of charity, by and large, our society is comprised of people who actually can and should work and enjoy the fruits of their labors, and not take that from somebody else. The story is set in a circus. Different actors represent the different attitudes of hard work and independence versus laziness and envy and the more socialist entitlement mentality. Ayn Rand paints a dystopian picture of a world in which those different attitudes are competing and lead to the collapse of a society, and then the hard-working, productive people flee so they can create their own productive society. Thus in our book, The Tuttle Twins and the Search for Atlas, the circus is a microcosm for the society. You see the same cause and effect of how these ideas play out, and what the logical extension of the different attitudes becomes. The child can follow along and say, how would a circus really work if all the clowns were lazy? Things wouldn’t really work. It’s important that everyone pitches in, that hard work is rewarded, and that incentives are in place. The circus helps the young reader see how it would apply in that small environment and then begin to think about how it would it apply in the real world. Connor Boyack: [28:23] Our latest book is based on Competition and Entrepreneurship, by Dr. Israel Kirzner, a free market economist, academic and author. It’s important to establish, as he does, the prime role of the entrepreneur in the economy. So often we don’t fully understand the importance of the innovator in job creation and wealth production. We take for granted these people who are assuming risk, entering new markets, and creating ripple effects in other markets. It’s these change agents who are responsible for the rising tide that lifts all boats. In response, we wanted to write a book that highlights the vital role of the entrepreneur. Here in Utah, last year we launched the children’s entrepreneur market. Each event is like a farmer’s market but run entirely by the kids. We have hundreds of children participating in each one. It’s like a lemonade stand on steroids. People are selling games, crafts, clothes, books, food, and other awesome stuff. We get 1000 plus people coming to these events to shop at these kids’ markets, so the kids get a great opportunity to practice entrepreneurship. It’s not just the Saturday event. It’s the preparation throughout the week. How do you market? What’s needed to do price discovery? How do you handle competition when three stalls down, they’re selling fidget spinners just like you are? Entrepreneurship is such a great way to introduce youth to free market ideas. Their profit motive is very strong, so when a kid has a legitimate opportunity to grow a little business and earn a little money, that is such a great way to teach these ideas, apart from books. The books are great and helpful for a lot of parents who get them. But at the end of the day, you want to do something more, and getting that tangible experience is so important. Our book basically walks a child through how they would actually set up a business. How do you think entrepreneurially? How do you problem solve? What does it mean to find a way to serve other people and produce something that other people are going to want? And how do you get it to them? What about marketing? We wanted to have a young reader be able to step through a book and say, Hey, let’s take that same process that the Tuttle twins went through, and let’s actually do it in real life. They can go to the activity workbook and create a sample business plan. And they can start to do some of these activities to not only think about and learn about entrepreneurship but actually to go practice it. That was actually a really fun book to do for our children’s markets. All the kids get one of those books now to help them in their educational process to learn more about the nuts and bolts of entrepreneurship. I think, over the long term, that’s going to be one of the more important books we do because it’s very actionable. Connor Boyack: [38:51] This is based on a book by Murray Rothbard called Anatomy of the State, which boils down the ideas of persuasion versus coercion. It posits, is it better to build a society and economy on coercion where we have central planning and control? Or do we want one where persuasion is how we interact with one another, where we’re trying to use the market to encourage people to do things or to acquire things? The book explores this idea deeply. It’s actually encouraging the twins in the book, and then the readers of the book, to imagine a future where we use our creativity to think about what the future should look like. Is a future of the status quo really the best we can do? Or we can we try to imagine what society should look like in the future? The whole idea is to get children to be more actively engaged and think about whether they want to become a cog in the wheel of whatever system is already in place, or do they want to have a say in creating the future? What are Your Thoughts on Democratic Schools? Connor Boyack: [33:01] The whole idea behind my book, Passion-Driven Education, is this: Rather than speaking to children in a foreign language they don’t intuitively understand, let’s instead use language that the child does understand. They can start to understand a lot of these concepts, whether math, science or English if you teach based on the interest of the child. They’re intuitively interested in whatever that passion is. For example, when I wrote the book, one of my son’s interests was Angry Birds. I used Angry Birds to explain many scientific principles. And he loved it because he was learning more about Angry Birds. He was making sense of why the birds fall, and why, in Angry Birds space, they hover and go around an asteroid over and over and over again. When I was explaining these concepts, it was it wasn’t drudgery or homework. It was interesting. In my book, we review several other educational models, and how they interface with this concept. One of them is the Sudbury schools, the democratic schools where kids are in charge. I love this concept. One of the biggest problems I have with modern schooling is its authoritarian nature. I believe that kind of inculcates in children, a very submissive mentality, where you’re basically, for lack of a better word, indoctrinating into children, submissiveness and being deferential to authority. I think we need more independent thinkers, more free minds, more people who take matters into their own hands. When, in the formative years of a child’s life, they are immersed in a system of authoritarianism, I think that produces a citizenry that is familiar with authoritarianism. I think that bleeds out into our political structures and our society. I love the democratic school idea because, from a young age, you’re empowering children to engage. You’re empowering them to not simply to do what they’re told, but to have a say in the matter and be able to think critically about whether something is right, or whether it should be changed. You’re letting them discover what they feel about something and giving them a seat at the wheel of their own life to be able to drive things in a direction that they feel appropriate, with guidance, control, and oversight. This isn’t Lord of the Flies, with children out on their own. I like it from a much higher level, there’s a lot of smaller or localized benefits. When I look at it on an aggregate scale, in terms of what type of society these schools would produce, I like that model far better than the public schooling that we have right now. Would You Consider Writing a Book About the Importance of Investing in Yourself Financially with Mutual Whole Life Insurance? Connor Boyack: [36:55] This gets to an underlying question, which is, how many books are we actually going to do? When we started the series, things started moving along, I thought we’d write eight to 10, and then we’d stop. We’ve already now done our eighth. Now, we’re a few weeks away from publishing our ninth. And then, we already have our 10th planned. We sent a survey out to about 40,000 plus families who are reading the books on our list. 80% wanted us to keep writing more books. I’ve resigned myself to this new business model or new decision that we’re just going to keep on going. We’ve got a list that we’ve compiled of all sorts of other topics that we can do. 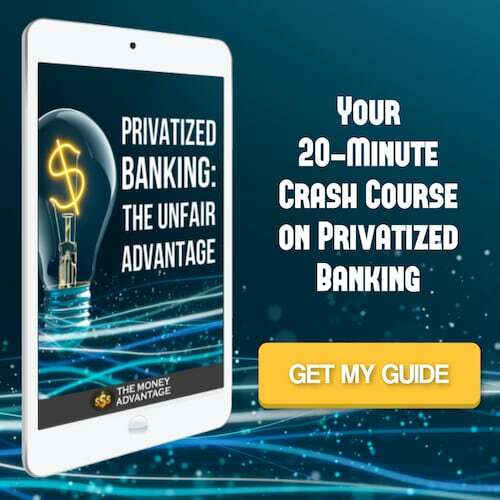 The Privatized Banking, personal investment concept is definitely on the list. Many of our supporters are big champions of the model that Nelson Nash created. Admittedly, I’m not super familiar with it, yet. It’s on my “to read” pile next to me on my desk right now to dig in and learn more. So many people I respect, like Bob Murphy and others, are big champions of this type of system, that I want to learn more about it. Now that we have this open-ended limit on books, we plan to cover an issue like that. I’m not going to foreclose the opportunity to explore that in the future. Balancing the idea of a free market with few regulations and then supporting laws to support the free market. Learn more and get the Tuttle Twins books here. 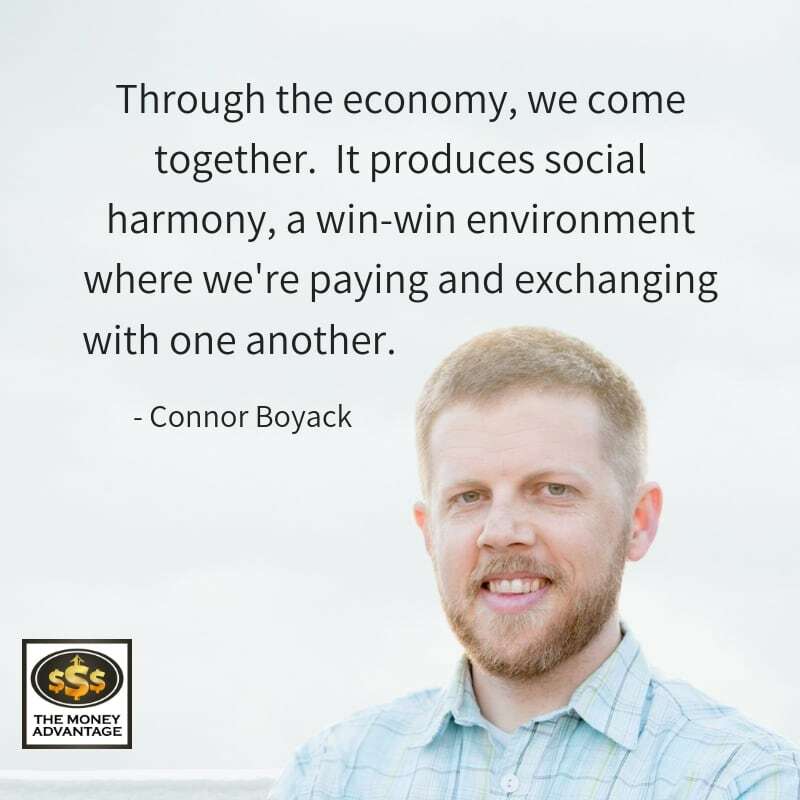 Learn more about Connor Boyack and his work and connect with him at http://connorboyack.com. Do you want to begin building capital, putting it to work, and accelerating Time and Money Freedom? To find out the one thing you should be doing to increase your cash flow, contact us today.